The property UniLodge @ Metro Adelaide provides students with prestige boutique accommodation, 300 student apartments over fourteen levels. A perfect facility in a perfect location – off North Terrace and near Rundle Mall, University of Adelaide, University SA and entertainment precinct. The building features quality finishes, advanced technology, environmental excellence and awesome attention to detail. Two common rooms offer a relaxed lifestyle. UniLodge @ Metro Adelaide opened in January 2009, and is purpose designed, state of the art student housing in the centre of Adelaide, providing an off-campus, home away from home for you and more than 400 other residents. You can choose from a range of fully furnished one and two bedroom student apartments, and if you book early you could secure an apartment with panoramic city views. 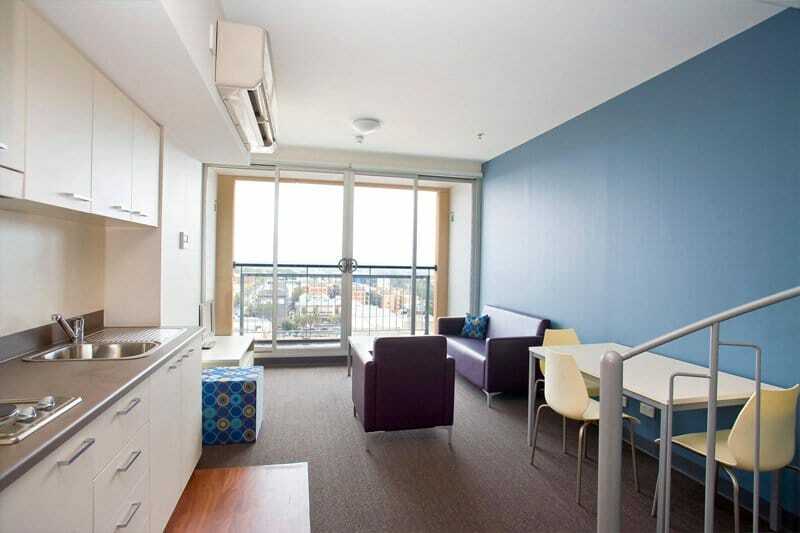 Convenient Adelaide City Centre student accommodation location UniLodge @ Metro Adelaide is only a short walk from the University of Adelaide and the University of South Australia’s city campus, as well as Adelaide’s Colleges, English language schools, Cambridge International College, Global Language College and the city’s TAFE campuses. And you’ll love being even closer to the shops, cafes, cinemas and public transport in the city centre, so you can easily experience all the wonderful attractions Adelaide offers. The unique location allows students to walk to lectures – meaning no need for public transport and therefore provides students with more time for study or enjoy the extensive range of extra-curricular activities that the University has on offer. 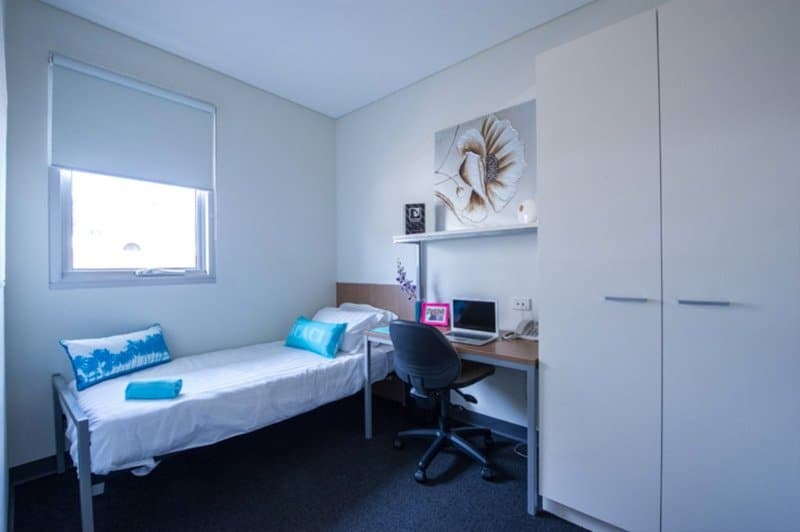 Great facilities All apartments and rooms are furnished to meet your needs as a student and when you need a break from your studies, you can relax in many indoor and outdoor common areas. There is also a coin-operated laundry area. Friendly UniLodge staff on site Our on-site friendly residential staff with help you feel at home as they are dedicated to looking after the needs of our residents. If you would like share accommodation, our staff can help you find the perfect flatmate too! Excellent security You will feel safe knowing that UniLodge @ Metro Adelaide has the latest security features. There is a security intercom system in place, and personalised proximity cards are required for entering the building and lift foyer and a separate lock for room access. In addition, there are building wide CCTV cameras in all common areas and on each floor. 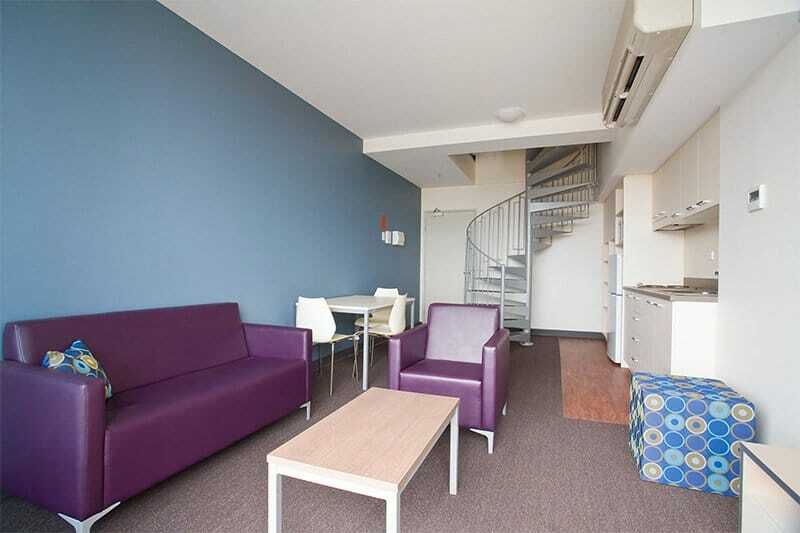 UniLodge @ Metro Adelaide Student accommodation is a great choice for student living in Adelaide – Make it your place! Follow us on our Facebook page to see what happens in the building. Our two bedroom apartments have two separate lockable bedrooms with a single bed and study desk with chair. There is one bathroom shared by the 2 bedrooms. All apartments feature a kitchen with fridge, microwave, stovetop and a spacious lounge area with 2 seater couch. Other features include natural light, air conditioning and heating. Our two bedroom deluxe are perfect for students who still like the social aspect of sharing but would like their own bathroom. Each lockable bedroom has a single bed and study desk with chair. All apartments feature a kitchen with fridge, microwave, stovetop and a spacious lounge area with 2 seater couch. Other features include natural light, air conditioning and heating. 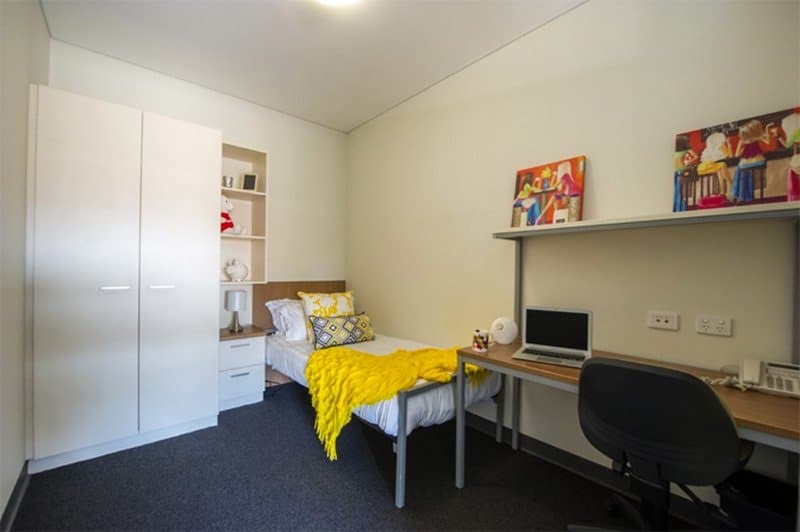 Our two bedroom apartments have two separate lockable bedrooms with a single bed, study desk with chair and a great balcony to enjoy the fresh Adelaide air. There is one bathroom shared by the 2 bedrooms. All apartments feature a kitchen with fridge, microwave, stovetop and a spacious lounge area with 2 seater couch. Other features include natural light, air conditioning and heating. These great 68sqm split-level apartments have two separate bedrooms with a single bed, study desk with chair and a shared bathroom upstairs with a spacious living area and kitchen downstairs. All apartments have a fridge, microwave, stovetop and a 2 seater couch. Other features include natural light, air conditioning and heating. These great 74sqm split-level apartments have two separate bedrooms with a single bed, study desk with chair and a shared bathroom upstairs with a spacious living area and kitchen downstairs. All apartments have a fridge, microwave, stovetop and a 2 seater couch. Other features include natural light, air conditioning and heating.